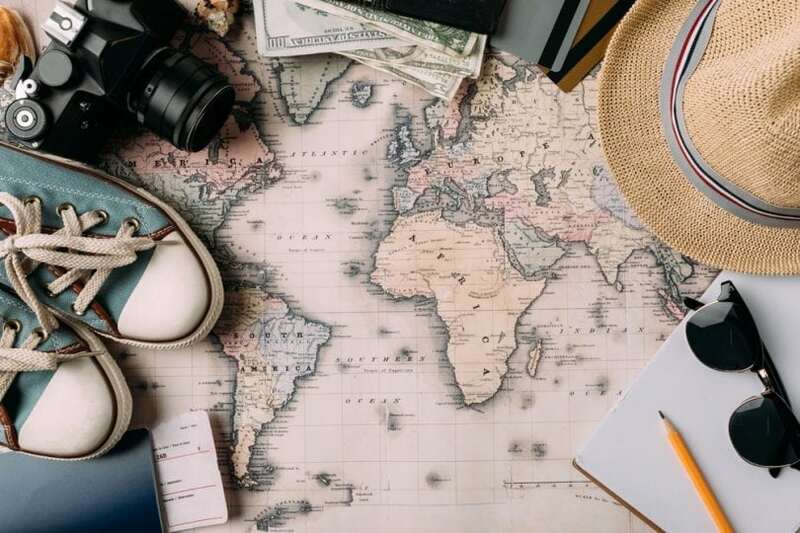 Is seeing the world one of your dreams, or have you given up on taking trips to exotic locations because you’re sure it won’t fit into your budget? Good news: Globetrotting doesn’t have to break the bank — as long as you’re willing to be flexible and plan in advance to take advantage of the best possible deals. If you’ve always assumed that that vacation abroad was out of reach, try the tips below to score a new adventure for a whole lot less. One of the best ways to travel for cheap is to remain completely open when it comes to the timing of your trip so you can plan your travel around the serendipity of an amazing deal. In general, traveling on Tuesdays, Wednesdays and Saturdays are the cheapest. You can also save by planning your trip for off-peak seasons. By shifting your travel dates, you can save a lot on both airfare and hotel rooms. If you don’t have the kind of job that lets you pick up and go whenever it’s convenient, try being flexible about your destination instead. Use SkyScanner to search for every possible destination from the airport of your choosing. Sure, maybe you’ve always wanted to go to London, but if you could find tickets to Dublin for half the price, why not do it? Pro Tip: For even bigger savings, don’t enter a departure airport in SkyScanner, but just choose “United States” instead. If you can get to the hub offering a cheap flight for less than booking a multi-leg trip, you win. To save on domestic flights, pick an airline that has lots of direct flights out of your nearest airport and go all-in on earning frequent flyer miles. The fastest way to earn miles is through a travel rewards credit card that gives you points for all your purchases. Choose one with a low annual fee and use it for everything to rack up miles quickly — just make sure you pay it off in full each and every month, or any potential travel savings will be undone by interest charges. Having lots of miles to cash in on a domestic carrier can also help you take advantage of cheap international flights. For example, if you found a dirt-cheap ticket from San Francisco to Japan, you can use your domestic carrier miles to get from Omaha to Frisco on the cheap to take advantage. Simply put, Southwest Airlines’ Companion Pass is the best deal in travel if you plan to bring a friend or partner. Once you hit enough miles to qualify, you can get a companion pass that lets a friend fly free with every single ticket you buy for yourself — whether you use miles or cash. That’s basically a 50% discount on your travel on Southwest, so if you can possibly make this happen, it’s definitely worth it. You don’t have to fly a lot to rack up those miles, either: Using the Southwest credit card could get you there faster than you think. There’s nothing worse than booking your trip only to get an alert about an even cheaper ticket. You can avoid this heartache by downloading the Hopper app. It’s free, and it lets you search dates for your trip by getting specific or keeping it flexible. It will give your rates along with some advice: Whether you should book now or hold off based on their algorithm that deals with tons of data about price fluctuations. You can also set up alerts that will tell you when to book that dream vacation for the lowest prices. Once you’ve figured out how to get where you’re going, keeping things cheap takes lots of research. Search TripAdvisor for reviews on hotels and restaurants, which you can search by price range. You can also get lots of insider information by searching Reddit pages for any number of travel destinations. If you’re looking for ultra-budget accommodations, be sure to add hostels to your search instead of getting lulled into choosing the same old chain hotels that everyone else always goes to. You can maximize your time sightseeing and minimize your food expenses when you shift to a two-meal-a-day schedule. Have a big breakfast and go all day with just water until dinner, and you’ll be genuinely hungry for that meal. It’s easy to do when you’re immersed in a new place and less likely to notice you’re hungry. If you don’t want to miss out on local food experiences, hit the grocery store for fruit, bread and anything else that makes sense for an on-the-go picnic lunch. Self-catering is much cheaper than eating out, and it will keep you fueled up for hiking and other calorie-burning activities if you can’t face the prospect of skipping a meal. Travel isn’t free, but you can make it a lot less expensive by being flexible and making these hacks work for you. Have we missed anything you’ve found super-useful in getting the vacation of your dreams for less? Share your ideas in the comments below!